This is an additional post in a series of hosted VoIP feature spotlights. Operating remote locations or a work from home employee base under one phone system is one of the great features of a hosted VoIP platform. Because the phones are registering over the internet to a host site, it views every employee of that company under the same context. Thus, the location of the employee is irrelevant, and it wouldn’t necessarily be apparent to the callers of the company. The company can have multiple branches across the country on the same platform and under one provider. This should create some economies of scale from a billing prospective, as the provider should provide quantity discounts. In addition, employees will be able to extension dial and transfer calls easy between locations. Thus, these companies may also be able to consolidate functions or create processes where calls to specific functions are handled by a team of employees, regardless of location. For example, if “customer service” for the company was previously handled by each branch, there may be economies of scale by creating a team that can handle service for any company issue. This can be made possible by creating a ring group of customer service reps where calls are delivered to all reps, regardless of location. 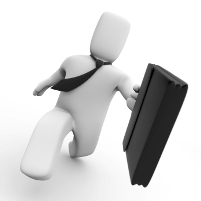 The company can begin to develop a work from home strategy. This opens up a new pool of potential candidates, and they don’t even need to be located in the town local to the business. This is a great opportunity to conserve on real estate expense for the expanding company, as well as providing a good employee benefit. It also opens up some management opportunities, so choose this option wisely! There’s nothing like a barking dog during a customer service call! As you choose a hosted VoIP provider, investigate their ability to provide local calling to all the locations of your branch or remote locations. Making a global decision surrounding the consolidation of your communication platform will provide lasting benefits and differentiate your business. This is an additional post in a series of hosted VoIP feature spotlights. Parking calls and paging are additional features provided by most hosted VoIP service providers. The utilization of a park feature is necessitated by the fact that with VoIP service there are no more “lines” in play as there are with traditional analog phone systems. Thus, when calls come in, they terminate to the phone that answers the call. To move those calls to another employee, they must be transferred to that employee’s extension or into a park feature. Park features allow calls to be transferred to park, and then picked up by any other phone on the system. Typically, this involves a park extension (or multiple extensions), and the pick-up routine involves a code, such as putting a * in front of the extension number and dialing it to pick it up. Some VoIP phones, such as the Cisco 500 series, allow for “line appearances”. Depending upon your provider and the phone line-up, they may be able to program a line appearance to provide visibility to calls occupying a park extension, as well as allowing for a one button park pick-up. It may sound a little confusing. Read my previous post on why there are no more lines with VoIP for more background, but good hosted VoIP service providers can listen to your call flow patterns, recommend whether a park feature is right for your organization, and set it up in a way that is easy to use. Paging options vary widely between VoIP phones and providers, but it is possible with many VoIP systems to page to the phones. This can be set up to not receive a page when that phone is currently in use, which is commonplace in most deployments. Most VoIP providers can also provide an interface to an overhead paging system, but be sure to alert them to this requirement before you purchase the phone system. This is an additional post in a series of hosted VoIP feature spotlights. An automated attendant is one of the great features delivered by most hosted VoIP service providers. It can be deployed in a number of ways, depending upon what suites your business the best. An automated attendant can be deployed at the beginning of a call flow, so that the callers self direct where they would like to be routed, or after ringing to a receptionist or a group of phones. You can customize the attendant options for what works best for your business. For example, you can choose common departments to which to route callers, such as sales and customer service. These departments can have ring groups established and programmed so that multiple people can have the opportunity to handle the calls. You can also provide an opportunity to leave a message, dial by extension, or include a dial by name directory. You can customize the recordings and options in your auto attendant, and have a different attendant, options, and ring pattern for after hours. You can set up different routing patterns and attendants for certain times of the day as well. Finally, good hosted phone service providers can also pre-program a holiday schedule for you with customized messages and routing for those holidays. There’s a tremendous amount of flexibility with this feature. Make sure you are working with a provider that will assist and consult with you on the best adaptation for your business. 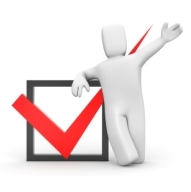 Additionally, check out our previous post on best practices of setting up an auto attendant. This is an additional post in a series of hosted VoIP feature spotlights. Utilizing ring group features of a hosted VoIP phone system can help the communication flow and efficiency of your business. Whether you set these groups up as an answering group for your primary number or for departmental routing, either will provide you with a customer service edge. Even a small business can take advantage of this advanced feature offered by good hosted VoIP providers. Via an auto attendant – many companies will elect to utilize an auto attendant to route callers to the departments of their choice. For example, you would select certain individuals to received calls bound for “customer service”, “sales”, “accounting”, etc. Individuals can be members of multiple ring groups. Via extension transfer – calls may be answered by a receptionist or a ring group designated to handle main incoming calls. Your hosted VoIP provider can create extensions that will ring a group of phones associated with the functions to which you would route a call, so transferring to an extension will ring certain phones. Ring group patterns – you can also create ring groups that will ring a certain group first, and then route to another group of phones if the first group doesn’t answer. With the case with all ring groups, you should have an end to the process, whether it falls to a certain individual’s voicemail or pulls back and delivers a recorded message with an opportunity to route a message to an individual or group. Another example of the power of the hosted phone service is that these individuals do not need to be under the same roof. 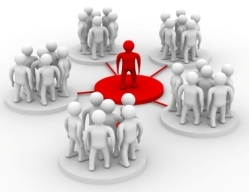 You can include individuals in a ring group that office in different locations. 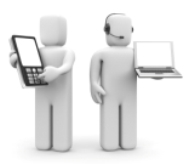 This allows the business to make efficient utilization of all resources, but it is transparent to the caller. This is an additional post in a series of hosted VoIP feature spotlights. Hosted VoIP platforms can provide call history and reporting allowing for increased efficiency and production management. Call History – Most hosted platforms provide call history information directly to the VoIP phone for each user on the system. This allows users to view their answered calls, missed calls, and placed calls and make calls with a one button touch directly from their call lists. The convenience of this practice was underestimated until cell phones opened our eyes to the value call history! How many people don’t leave voicemails now and rely on call backs from call history? Call Reporting – Call detail records typically provide the date/time of a call, the source, destination, and duration. This data can be delivered to management and manipulated to derive outbound call data by associate, inbound call history, and a variety of other outputs. For companies wishing to evaluate call volume or associate production, this is a great tool to have. Professional business firms who bill by the hour can also export data from this report into a billing program, or use it for documentation of billing for phone time. This is an additional post in a series of hosted VoIP feature spotlights. Many hosted VoIP providers can deliver call recordings, eliminating expensive options for this feature. Levels of service, pricing and approach vary widely, so if this service is important to your business, investigate the options carefully. The typical delivery of call recording services is “on-demand”, meaning the user can press a couple of buttons and initiate a call recording. The recordings are sent to the user in the form of an email with a sound file attached. Providers handle the timing of the delivery in different ways. For example, some deliver the recordings during off peak times. For companies who require recording of all calls, this may be an option that adds additional costs to the service, but is possible. Check with your potential provider on the options and costs before signing up. Additionally, the providers should be able to play a recorded message before all inbound calls are delivered indicating that calls may be monitored or recorded for quality assurance purposes, as an example. Finally, the recording of calls can carry legal requirements. These requirements vary in every state, so be sure to know the laws before you initiate recording of calls as a practice. This is an additional post in a series of hosted VoIP feature spotlights. A nice feature of Hosted VoIP systems is the ability to conference or transfer calls to a third party. This additional party can be resident on the phone system or an outside number. What sounds like a common feature, you would be surprised how many phone systems do not allow for such activity. Transferring – Not only is call transferring a nice feature of hosted VoIP systems, it is a requirement with the technology. With the concept of “lines” going away with VoIP (you can handle as many calls as your bandwidth allows), calls answered by an employee terminate to the phone that answers. Thus, to get the call to another party, it must be transferred to them or a park feature. Many VoIP phones and systems are different, but the typical process to transfer to an internal party is initiating the transfer (typically a button), dialing the extension, and executing the transfer. Some phones allow this to be a one button process or series of buttons to make this simple. Additionally, transferring a call to an outside number is possible. For example, an employee who is out of the office is expecting an important call. This call can be transferred to that employee’s cell phone when it is received by the office. Conferencing – Similarly, you can add a third party to a phone conversation by initiating the call conferencing feature of the hosted VoIP phone. Again, this additional party can be internal to the system or an external number. Some phones allow the initial conferencing party to exit from the conversation by selecting a “join” feature, which, say after an introduction, that party “joins” the two additional callers and exits. Some hosted providers also provide traditional conferencing services which allows for more participants than a three way conference initiated on demand from the phone. This can be an add-on service, and pricing can vary widely. Be sure to ask your potential provider about conferencing options and costs. This is an additional post in a series of hosted VoIP feature spotlights. The Unified Messaging feature of a hosted VoIP system provides users with easy access and delivery options of voicemail and faxes. Most VoIP service providers have options where users can pick and choose what method works best for them. 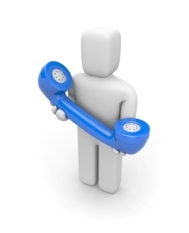 Voicemail – Every user of a hosted VoIP system can be set up with a voicemail box. VoIP phones typically have easy access capabilities or the ability to call into the voicemail service to retrieve messages while away from the office. However, unified messaging comes into play when the provider can deliver the messages through alternate means, such as to an email account or via text message alerts. Typically, employees who elect to have voicemails sent to their email are not always in the office and this becomes a convenient method to be alerted to a new message. These email deliveries typically include a .wav file that can be listened to over most smart cell phones. It is also more convenient to forward such messages via the email account for action for other employees. Faxing – As the 1980’s technology of faxing continues to hang on, unified messaging at least allows for a more modern delivery of the message. Inbound faxing can be delivered to an email box, which makes the file ready for transferring to specific associates for action and for electronic storage. This is the first post in a series of hosted VoIP feature spotlights. The Find Me / Follow Me feature of a hosted VoIP system provides users the ability to remain reachable for important phone calls from their clients despite being away from their office. There are several different ways this can be accomplished with a hosted VoIP solution. Simultaneous Ring to Cell Phone – Many hosted VoIP providers offer the ability to ring the employee’s desk phone and cell phone simultaneously. This can be programmed in by the host provider so that the employee doesn’t have to engage and disengage the service from his or her phone. Thus, callers contacting the employee via the office phone number or extension will reach the employee regardless of the location. The system delivers the calls simultaneously to both phones, but it typically takes the cell network a couple of rings to catch up. This delay is convenient, as it gives the employee a chance to pick up the desk phone before it hits the cell phone. If neither phone is answered, the call will be captured by the office phone’s voicemail. 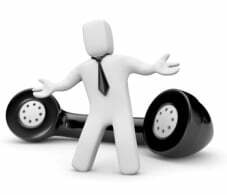 Phone Forwarding Options – The physical VoIP phone can be programmed for several find me / follow me options. The phone can be forwarded to another number, whether it is an internal extension or external number. The phone will not ring when contacted, but will be rerouted to the destination of choice. You can also program the phone to call forward to another number if you are on the phone or don’t answer after so many rings. Applications of this feature: Typically, find me / follow me options are for employees who are out of the office a lot but need to be in frequent contact with customers. Examples are sales and service personnel. 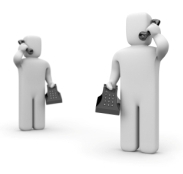 For example, a sales person may have their desk phone set for simultaneous ring to their cell phone. That way, they only have to give out their business number to customers, but they can be reachable at any time or location when customers call. Another example would be a service associate who is routinely on the phone. If a call comes into that associate while he or she is on the phone, it can automatically route to another service employee or queue.